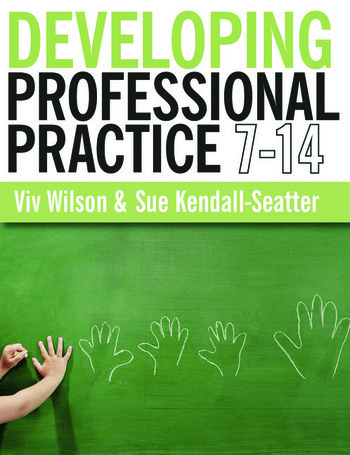 Developing Professional Practice 7-14 provides a thoroughly comprehensive and cutting edge guide to developing the necessary knowledge, skills and understanding for teaching within the 7-14 age range. This book is designed to guide you through your initial teacher training programme, and on into the early stages of your career, with the aim of stimulating and supporting you in the process of developing your practice. A range of pedagogical features are provided in each chapter to encourage reflection, interaction and debate. Over to you features pose questions that will encourage you to examine your own knowledge, understanding and practical skills. Case studies offer extended examples that help illustrate core concepts and theories in action. Additional resources and support are provided via the Developing Professional Practice companion website, where you can access additional self-study questions, case studies, interactive chapter-by-chapter tutorials, interviews with practitioners and students, and a glossary of key terms. Developing Professional Practice 7-14 is essential reading for anyone training to teach in primary or secondary schools, as well as those specialising in the middle years specifically. It will also prove an invaluable resource for all those already in the early stages of their careers.